Rick's Pocono Blog: The Reasons Are Endless To Come To The Poconos! If you're like most people, buying a home is the biggest investment you'll ever make. So whether you're buying a starter home, your Pocono Mountain Dream Home or an investment property, you can take advantage of my experience as a local market expert for the Pocono Mountain Region! Whether you are buying in Pocono Lake, Blakeslee, Pocono Pines, Jim Thorpre, Long Pond, Albrightsville, Gouldsboro, or another region of the Pocono Mountains, use my expertise to make the most informed decisions you can every step of the way. Buying a home is a very complex and exciting adventure. It can also be time consuming and costly if you're not familiar with all aspects of the process, and don't have all the best information and resources at hand. Time for a vacation home? If you're thinking about buying a vacation home, you're not alone. The rate of second home ownership has made a serious jump as Baby Boomers move into their prime wage - earning years. It is estimated that 6-10 percent of homes in the United States are second homes. That number is much higher in desirable vacation communities. The trend of second home ownership shows no sign of slowing. People are certainly seeking outlets for fun, and an affordable second home in an area of your desire is clearly the way to go. Purchasing a vacation home mainly is set on location. Think of your interests and hobbies when choosing a second home location. Most second homeowners purchase homes in their favorite vacation spots because they already enjoy the area and want to spend more time there. What does the Pocono Mountains have to offer? Purchasing property in the Pocono Mountains is like a dream come true to all of those mountain, nature, wildlife, skiing, hiking, fishing, and scenic photo taking lovers. The Pocono Mountains is full of mostly small town settings filled with private communities with many ammenities. Just a drive threw the Poconos can be so breathtakingly beautiful! Every town in the Poconos likes to keep it local. Surrounded by trees, mountains, and wildlife they're what makes the Poconos a great spot for a nice vacation in a cozy mountain home. Still with your seclusion surrounded by nature, a small town is located in every spot of the Pocono Mountains for your living needs. 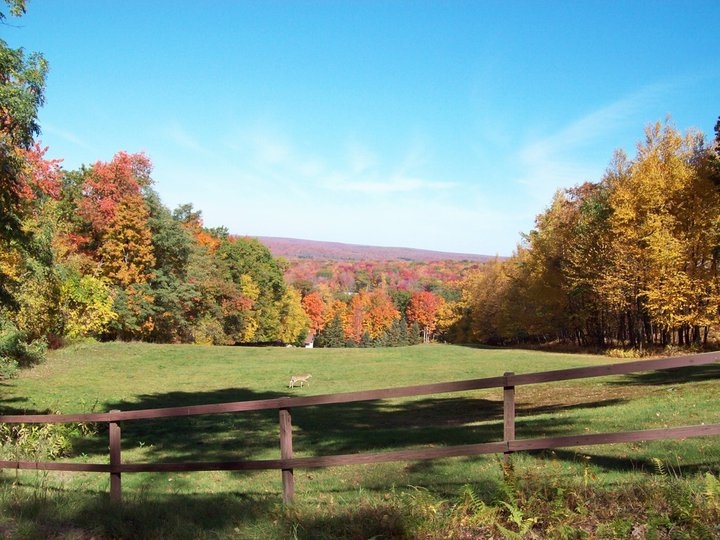 Perfect Pocono Mountain Ammenity Filled Communities are scattered throughout the forests of the Poconos. All communities have their uniqueness about them. You are very likely in every community in the Poconos to see much wildlife including deer, foxes, wild turkey, chipmunks, groundhogs, rabbits, turtles, black bear, woodpeckers, owls, and much more. These communities have never ending amounts of fun. Most communities are surrounded by lakes which you can swim in, sail on, or do some fishing. Hiking is also popular. State Parks are located in the Poconos including Tobyhanna State Park and Gouldsboro State Park. Many also even include indoor and outdoor swimming pools ( some are heated), tennis courts, basketball courts, clubhouses, golfing, canoeing, boating, skiing, and much more. The Pocono Mountains is not only a gorgeous spot for vacationing, it is the perfect place to raise a family. Skiing, Snowboarding, Tubing, and Ski Resort Housing in the Poconos? Ski Resort Housing is the most popular part of the Pocono Mountains. All year round the Pocono Mountains brings you so much, but wintertime is prime time in the Pocono Mountains. There are top notch ski resorts in the Poconos that have gained national attention for their ski slopes, snowboarding, restaurants, and top notch housing. Bring your own skis or snowboard or simply rent them out for a day at the slopes! 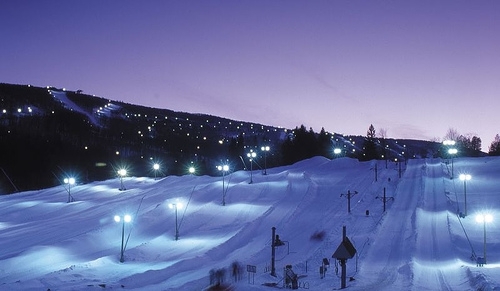 The Ski Resorts in the Poconos do it right! When the snow falls, the tourists pile in to get their fair share of the snowy slopes! Once the snow falls, it's there all season long by the snow machines, and skiing is open all day for your enjoyment. The Resorts have lodges as well. Ski all day, and walk on over to the nearest lodge for some hot chocalate and a good fire! Ricks Mountain Homes offers you the fairest, most informal, and friendliest service in the Pocono Mountains. My website is packed with all your information on purchasing your Pocono Mountain Dream Home! I break it down as easy as possible to assure that my clients have seen and read everything properly and didn't miss out on anything good! The parts to my website will bring you inside the Poconos before you even get here! Including all your listings, homes on the market, rental homes, and different style housing that fits you best! Styles include Ski Resort Housing, Log Cabin Homes, Lakefront Homes, and Homes backing up to State Gamelands for all the hunters out there! The process in purchasing home is valued by me because i care about my clients, and want to give them the best oppurtunity possible in purchasing their Pocono Mountain Home. Also, check out my MLS Dream Home Finder Page! This page allows you to break down every detail in what kind of home you are looking for. Simply, fill out the application provided on the page, give your contact information, and send it to me. With that I can provide you with every listing that matches your requests! I hope to be the one taking you through the home buying process sometime in the near future! 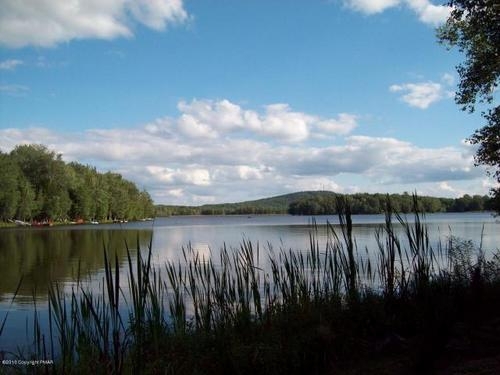 This is a lakeside view of one of the most popular communities in the Pocono Mountain Region Arrowhead Lakes! Fall Time in the Poconos! A Beautiful scene of Fall Foliage in the Pocono Mountains! A Whitetail Deer soaking it in! 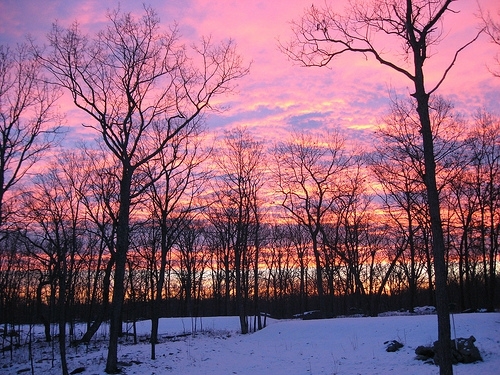 A Beautiful Sunset on a cold Winter night in the Poconos! Better Get That Fireplace Roaring!